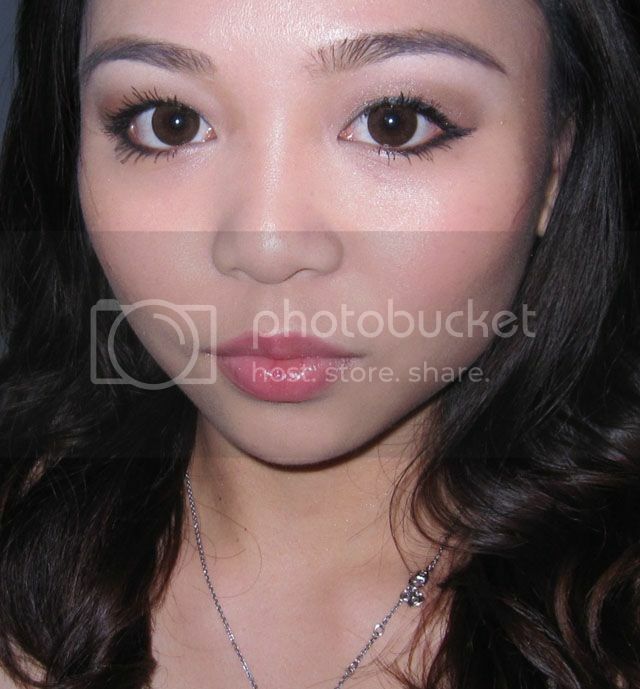 I quite liked this look, although the foundation seems a bit light for me in pictures. 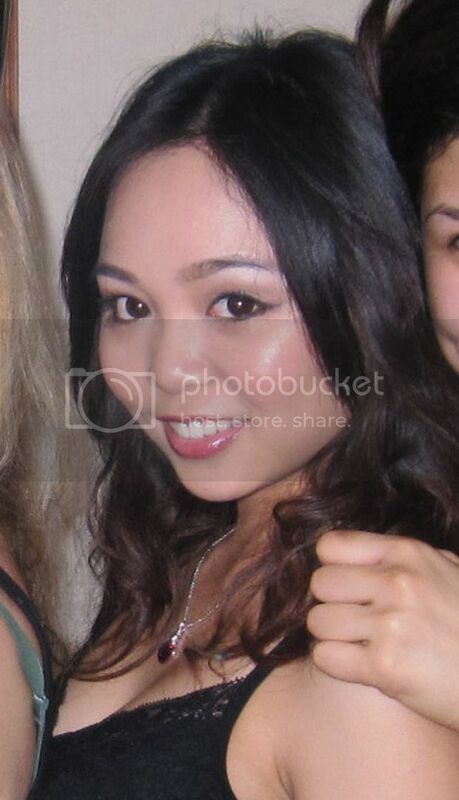 Maybe I tanned since I bought this, which is NC25, or the flash + foundation SPF might have given my face a whitish cast? I don't know, but its not that noticable in real life though so I'm not too bothered. 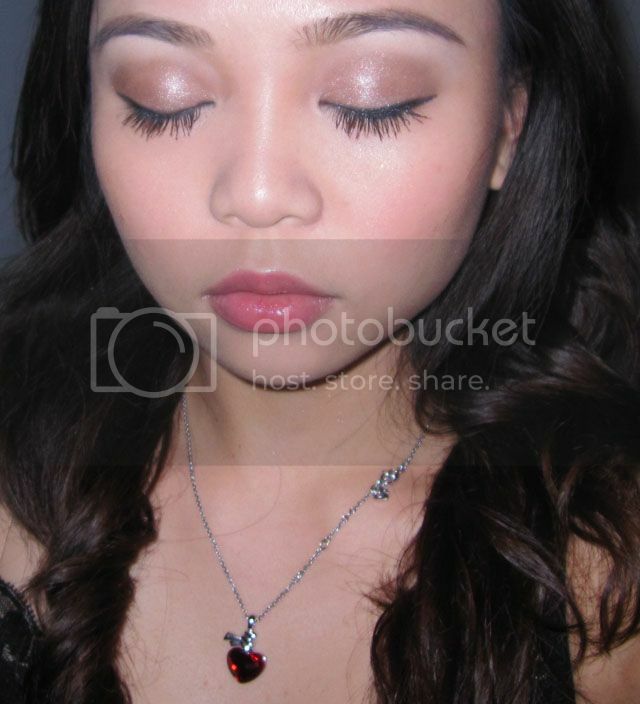 I also had some problem photographing my look for some reason, I really don't know why the pictures (like eye shots) came out a bit blurry. 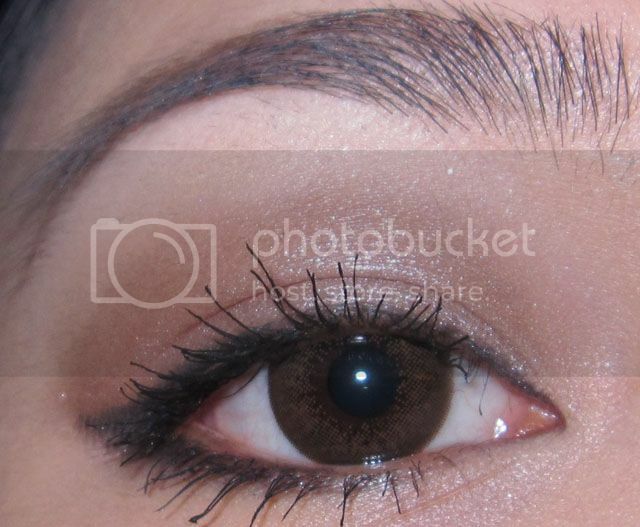 I used my normal settings with macro on, so I can only think that maybe its the Maybelline eyeshadow I used? Its really soft shimmery and velvety, like probably a mix between MAC lustre and veluxe pearl eyeshadows, so my camera probably got confused with how to deal with it lol! Anyway, I really love Sun and Moon mineralized blush! It shows as a beautiful peach on me, and it just shimmers pinky-peach with the flash! Lookie at this photo!! For more reviews and swatches on the blush, click here! I love this look...it has very clean lines and is so classy! 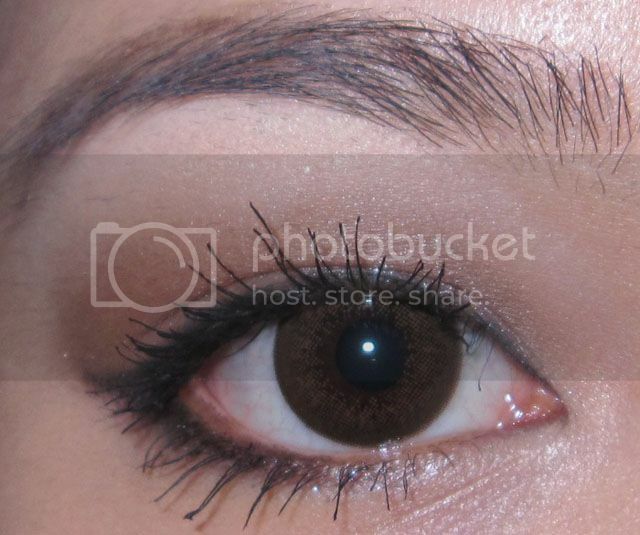 You look really good in browns/neutral eyeshadows! And I just have to comment on your amazing cheekbones again! Very pretty! Sometimes a little goes a long way, and I think this is true with this look! 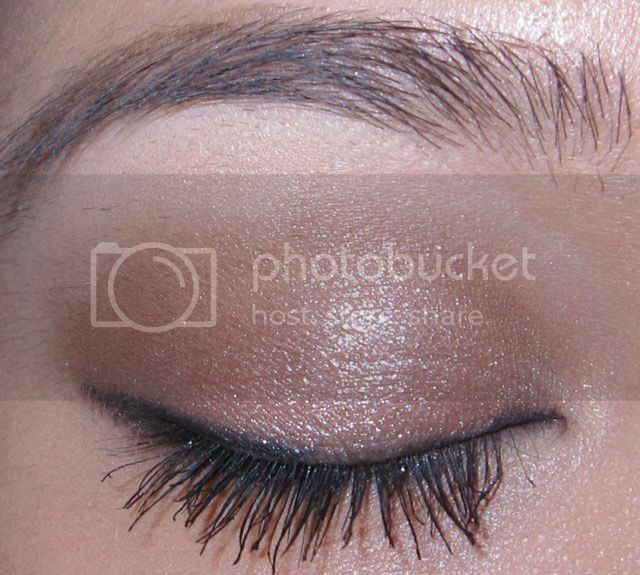 This is a lovely make up look, it's really subtle but brings out all your features, well done. this is super simple and pretty! you're gorgeous girlie! !